Should you quit Crossfit? The UNBIASED scientific facts! – Is it healthful? Should you quit Crossfit? The UNBIASED scientific facts! 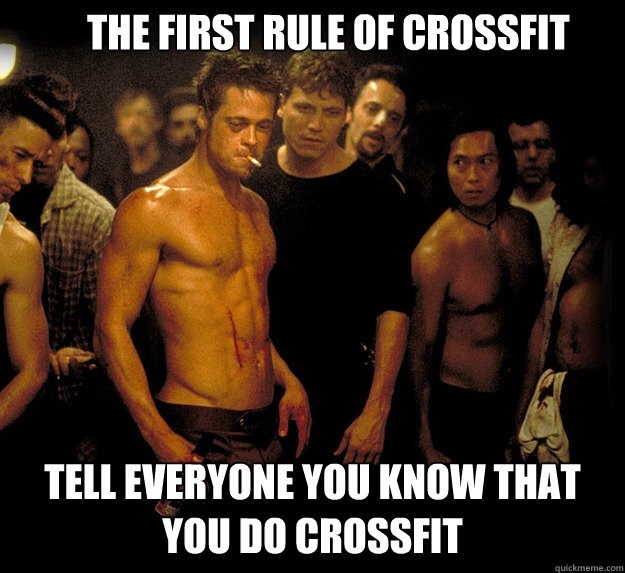 The first rule of Crossfit: you always talk about Crossfit. Accordingly, it did not take me long to hear about Crossfit, and boy did it change my life! Not as a Crossfit participant, but as a health professional. You what now?! Yes, as a physiotherapist I would often loiter out the front of Crossfit gyms as I knew I would drum up some business. And business had never been better! Deconditioned bodies being thrown into Olympic style lifting with minimal rest, heck I couldn’t have written a better recipe for injury myself. As you can now tell, it’s exceptionally easy to poke fun at the Crossfit cult. But does Crossfit actually deserve all the flack it gets? Or is it truly an innovative, superior form of exercise? To find a definitive, unbiased answer, I have based this research on peer reviewed scientific articles, rather than those published in the unbiased- extreme sarcasm alert – Crossfit Journal. Was business really that good? The science says maybe not. About 73% of individuals sustained an injury performing Crossfit. Yes that does sound high, but this rate of injury is comparable to that of: power lifting, Olympic lifting and gymnastics, and even lower than contact sports like rugby (1). Surely that study was an anomaly? Nope, in a group of soldiers, half were asked to perform normal training, while another half performed high intensity functional training similar to Crossfit. Injury incidence did not differ between the two groups (2). Back to the rugby club for me! Another suggested benefit of Crossfit is that it motivates people unlike other forms of exercise. A study compared a group of people who started an average gym based exercise program to those who started a Crossfit exercise program. 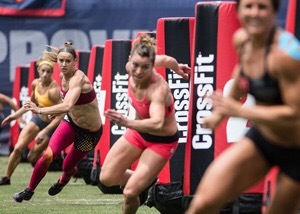 Those that performed the Crossfit program were more likely to continue exercising after completion of the study, suggesting it likely is a more motivation yielding form of exercise (3). I can’t believe what I’m reading. Crossfit is winning. Alright, alright, alright let’s not get carried away, we haven’t yet demonstrated the physical benefits of Crossfit – the most important part. So let’s have a look. Let’s have a bloody good look! A Crossfit program was shown to improve aerobic fitness and decreased body fat percentage (4). A further study mimicked these findings in a group of individuals performing high intensity interval training, like that utilised by Crossfit (5). So while you’re performing resistance exercises you are actually getting a response like you would get performing cardiovascular exercise. Not bad, Crossfit! Do these aerobic benefits come at the cost of: strength, power and muscle mass? Probably. While not directly proven, rest periods of 30 seconds or greater have been demonstrated repeatedly to maximise muscle hypertrophy (size), while rest periods of 3-5 minutes have been shown to maximise muscular strength and power (6). So while Crossfit will no doubt improve strength, power and muscle mass, larger rest periods would likely further these increases to levels seen in traditional resistance training programs. Unsurprisingly, Crossfit is quite efficient overall. When it was compared to traditional gym exercise: two cardio sessions and three gym sessions (60 minutes each), Crossfitters spent less time exercising (30 minutes per session) for fairly similar benefits (3). Yes. I wouldn’t get your grandma to dive straight into Crossfit straight away, but with common sense and slow progression it is safe. Despite its high intensity, Crossfit may motivate you to stick with it for longer than other forms of exercise. Additionally, while you won’t get as ripped as doing well programmed weights, or as aerobically fit as a marathon runner, you will get a nice combination of both for less of your time invested. Our verdict: I hate to say it, but moderately to very healthful! Although, you could probably perform a similar style program in a gym with professional guidance. Yep, worth a try, Gosia. Couldn’t agree more, Ajaykohli. Personal preference is a huge factor in choosing an exercise and I guess that is something that the science misses. Thanks for the comment. As a long time CrossFitter, thank you for a decent article (and amusing too). In 5 years I’ve sustained no injuries due to CF but do see people get injured who claim, “I was doing crossfit”. Mostly, they tend to be individuals who have not been to a CF gym buy choose to follow online programming without instruction or graduated introduction. 73% sounds extremely high and I certainly haven’t seen anything like that in the 4 gyms I’ve been a part of though (one as owner-coach, one as coach). Sure, we all get niggles but you will if you push yourself to change yourself. Thank you again, well written and enjoyable. Thank you very much. Yeah absolutely, 73% is quite high and it probably represents some of those slight niggles you’ve mentioned, not true injuries. There’s a Doctor in Australia that has elderly people Olympic lifting, so with the right progression there’s no reason why anyone can’t do it! I tried crossfit for a few months and found it to be great exercise. However, I kept experiencing lower back pain. I have been a gym rat for 25 years, did crossfit under the supervision of a certified coach, and practiced good form, but still kept finding myself with back issues. I wasn’t alone, people rolling around on foam rollers midway through certain WODs was commonplace. I think that the competitive nature of crossfit, with everyone exercising simultaneously and logging their results on a whiteboard for all to see, tends to foster overdoing it. Thanks for the comment. Yeah, that’s true the injury rate is quite high when you consider you’re just lifting weights. Further, I think Olympic lifted techniques when not perfectly executed can put significant stress on the lower back. I suspect that the attraction to cross-fit is a personality/age thing. It’s designed as a social medium — yet another way for sociable, competitive young people to socialize and compete and, oh yes, get a healthy workout, too… I think it’s brilliant marketing. But, since I doubt that people who go are interested primarily in health benefits, I’m not sure that the measured physical results mean anything. One thing I remember being taught in my B.S. Dietetics program when reasearching info on topics always ask yourself two questions: Who is the author? And, Are they being sponsored/paid to write this article by another company who is in direct competition? Maybe I missed it but I didn’t see an author listed for this article. You do make a very valid point. My details are on the about page. While I can divulge that I received no payments for this article and I personally think Crossfit is essentially overprice, bastardised strength training, that means little on the Internet. I will note though the studies I have referenced are independent and as far as I am aware the only in existence analysing Crossfit. Therefore, that removes some degree of author bias. Did these studies have deconditioned average sedentary people in the 35-55 age group as a control group in these studies? I find it hard to believe that more injuries weren’t seen in this population with this style of training. FYI: I was recently introduced to SMIT training (supramaximal interval training) with outcomes that superseded HIIT training. I had not heard of this training so I thought I would pass it on to you. The study was based on a questionnaire distributed to members of various Crossfit forums. As such, I suspect it probably attracted a younger crowd, who had been performing Crossfit for some time. So, yes, the reported injury rate might be on the low side. Additionally, the injury rate is likely significantly higher than traditional resistance training; but on par with certain contact sports. So, all in all, it’s probably quite high for what it is, but not necessarily high when compared to contact sports. Thanks, Jonathan. I will have a look into SMIT – intriguing. My husband has tried it a few times and seems to really like it – the high intensity is motivating for him and he knows he gets a better workout than if he were just doing exercises on his own. To me (a mostly yoga person who jogs when the weather is nice), it sounds like torture and way too intense for me to jump into. Thanks for the helpful article! Pleasure, Carrie. Glad to hear your husband’s story! Thank you for this. I was a CrossFitter for over 3 years, the reason I left had nothing to do with the programming. I am very interested in your injury numbers, I worked out with the same group of 15 people the entire time and can only remember 3 people getting hurt, myself included. My injury was self-inflicted and was actually rehabbed by doing more CrossFit. Other than that, 1 bruised hip, 1 skinned up shin, nothing more. Super good article, I will be passing this around to my CrossFit friends, I’m sure they will like it as well. Thanks for the comment, really appreciate. Glad to hear a positive crossfit story!